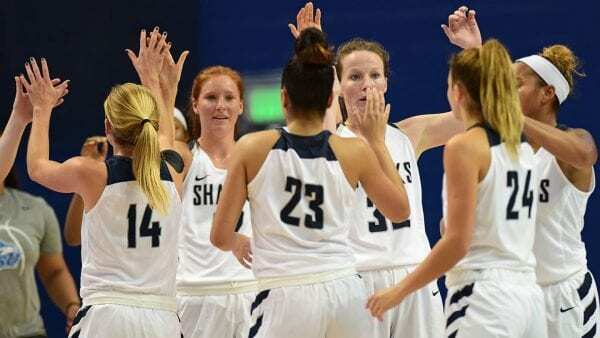 >FORT LAUDERDALE, Fla. – Entering its seventh NCAA tournament appearance in program history, the Nova Southeastern women’s basketball team will head to Lakeland to face off against second-seeded Union on Friday afternoon in the George W. Jenkins Fieldhouse.Seeded seventh in the South Region, the Sharks will take on the No. 13 Bulldogs at 2:30 p.m. on Friday, who fell to Valdosta State in the Gulf South Conference Tournament semifinals this past weekend. The winner will move on to the regional semifinals to square off against the winner between No. 3 seed West Florida and sixth-seeded Eckerd College, which is scheduled for noon, just prior to the Sharks tipping off at 2:30. NSU will face off against the Bulldogs, who fell to Valdosta State in the Gulf South Conference Tournament semifinals this past weekend. The winner will move on to the regional semifinals to square off against the winner between No. 3 West Florida and No. 6 seed Eckerd, which is scheduled for noon. West Florida was eliminated in the first round of the GSC Tournament, while Eckerd came up one point short to SSC Tournament champions Florida Southern in the finals last Sunday. The regional semifinal is scheduled for Saturday, March 16 at 5:00 p.m.
Friday’s game against Union will be a rematch from the second game of this season when NSU fell to the Bulldogs, 76-60, in the South Region Crossover Classic. 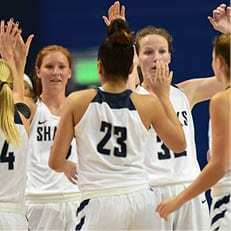 Union holds a 4-1 all-time record over Nova Southeastern, including three straight wins. This will be Union’s fourth trip to the NCAA National Tournament, the previous record after falling in the GSC semifinals, finishing 26-2 in the regular season, matching their program’s best season record. Morgan Martin paces Union with 17.3 points per game, 9.4 rebounds and a 57.8 field goal percentage, while Jada Smith follows her with 15.2 ppg, 5.8 rpg and holds a 52.2 shooting percentage. Jada Perkins is third on Union’s team with 10.9 points per game, and leads the team with 6.4 assists per game. Perkins ranks No. 8 in the nation in assists (193), eighth in assists per game and also eighth in in assist-to-turnover ratio (2.64). Alison Hughes leads the Sharks offense with her 13.9 points per game, and also ranks first in three-point shooting (44.6 percent) and three-pointers (87). Nationally her shooting percentage from deep ranks her eighth, while she leads the conference in the category as well as three-pointers made and three-pointers per game (3.00). Starting point guard Christen Prasse is second on the team with 12.4 points per game, and leads the team in rebounds per game (7.5), assists per game (6.5) and steals per game (2.0). Jordan Tully ranks third for the Sharks with 11.3 points per game, shooting 58.1 percent from the field, second best on the team. Tully also averages 1.3 blocks per game, with teammate Claire McMahon leading the squad with 1.5 per game. McMahon is also the fourth Shark to average double-digit points with 10.3. Game time is 2:30 p.m. EST, the second game of the day. Available ways to follow the Sharks during regional tournament play are at the top of this page.